Leonie Martin is the senior Vice-President of JEF (Young Federalist Europea) at 26 years old. JEF is a youth NGO, working for a more democratic, federal Europe, which is active everywhere in Europe and even beyond the border of the EU:. Their network is spread in 33 countries. They have one core value: to be inclusive, as Europe has been and should continue to be. JEF is trans-partisan, meaning that people from all kind of parties (even sometimes Euro-sceptic ones) are members. They gather every kind of young people, from very partisan ones to non-partisan at all. 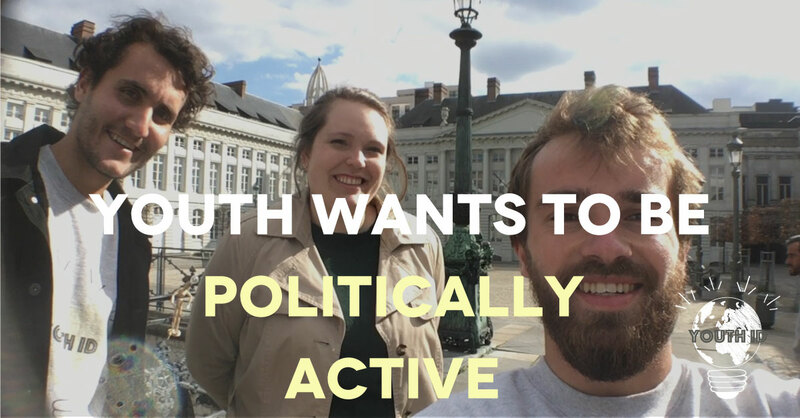 Indeed non-partisan, as Leonie Martin is, because there is a global tendency: young people want to be politically active but don’t necessarily want to be a member of a political party. We also noticed this development with Youth ID: whatever the country, whatever the continent, more and more young people are doing politics in another way. They do not seem to believe in their political institutions which is why they try to be involved differently (even sometimes by not voting, not because they do not care but because they want to contest). But let’s come back to JEF, we will have time to do Youth ID conclusions later. JEF is such a huge network that one of our first questions was how do you organize and manage an organization in 33 countries gathering between 10,000 to 30,000 members… including 11 000 members paying membership fee. A question even more relevant, when your connections are strong in some countries and not at all in others. For Leonie Martin, everything is a matter of motivation and establishing links between people. JEF is not here to control their local NGO members but to give them a European framework. Why ? Because it is important to them to encourage political participation. The local members are the best ones to choose which kind of political participation or form of activism suits with their community. “With more than 30 countries for sure you have different cultures and ways of political participation and activism“. For instance, there is a big difference between the Italian culture which is really into street actions and the Dutch one which goes step by step and prefers to organise debate rounds. The idea is not to say that this one is better than the other one, as they all have advantages and drawbacks. Every local NGO has its traditions and ways of working in JEF. What was important was to gather the members around one same goal but let them keep on doing their activities. Some are more into organizing EU Parliament simulations, others organize civic education formats, write articles and others are more into developing policies or lobby. Lobbying, mostly done by the European or national levels, is necessary when you hear, for instance, that the new proposed US ambassador to the EU says that “EU needs a little taming“. Summing up, members are free to choose their activities but JEF e.g. tries to reinforce the European network by giving common campaigns, such as the «#ourEurope challenges list » to-do. 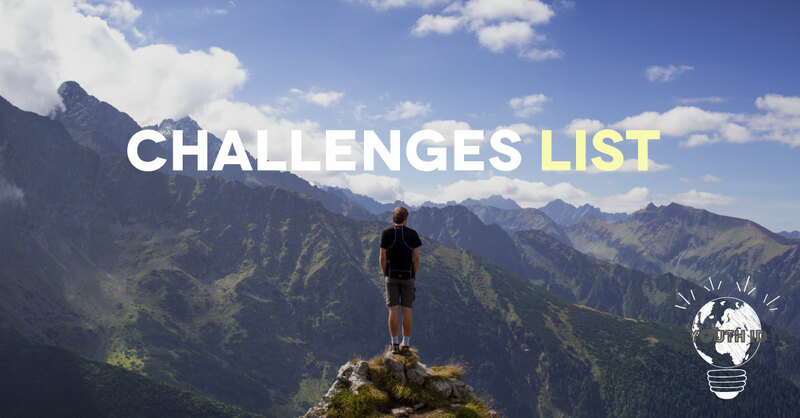 45 things to-do during Europeday brings progress to the JEF movement and their local initiatives. “Of course we are young, so some challenges are funny, others are more serious: doing PR, raise awareness in school…” outlined Leonie Martin. Subsidiarity? What are you speaking about (it was our reaction when Leonie used this word)? Subsidiarity means that decisions should be taken at the level where it makes most sense (hoppefully we met Easyvote in Switzerland, a youth NGO making politics vocabulary understanding). 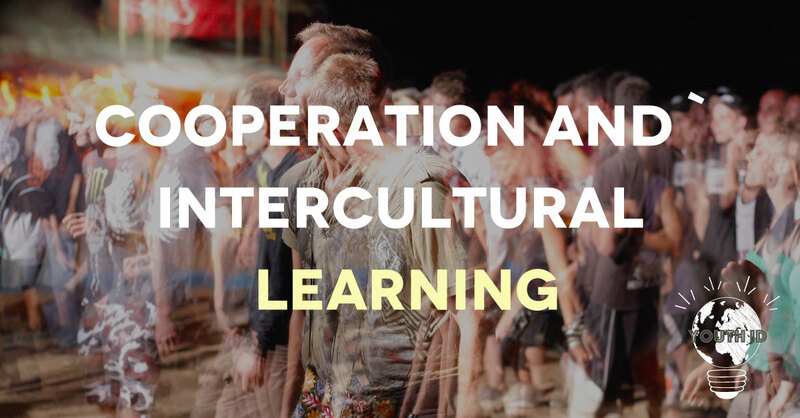 What is important to make subsidiarity possible is cooperation and intercultural learning. JEF tries to replicate the best of Europe based on subsidiarity. That’s why every half a year they organize a Federal Comitee meeting to gather their members to discuss and adopt political positions. In the same scheme, each country’s team has an international officer who is responsible for creating contacts and links between the local agencies. And because they are young they try to innovate inside their own organization. As usual, they have the classical elements of an organisation : weekly newsletter, strategic board… But they want to go further by creating horizontal communication. They are not afraid of testing new ways for communicating. For example online forums for European discussions on politics, Facebook live … or even with a couchsurfing group. National and local sections raise their own funds. Obviously they are helped by JEF Europe which provides online trainings and guidelines. Today, some local sections are really established and received annual grants from their own government. 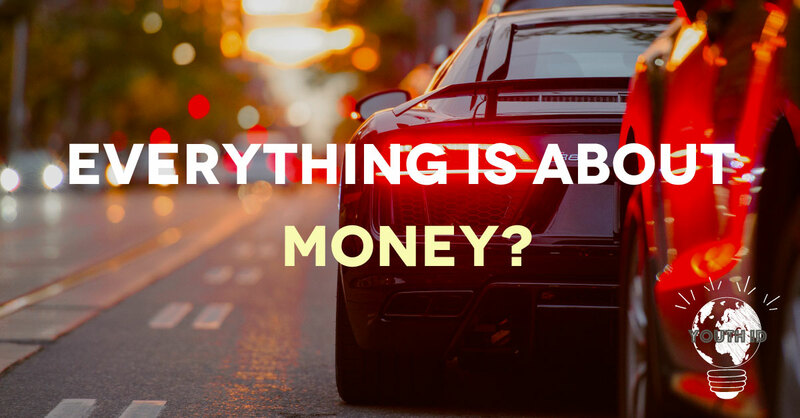 The European board deals with around 45,000 euro for operations, coming from the European Commission; then the Secretariat also applies for fundraising for many projects. All the board members are volunteers, even if they spend thousands of hours. They are eight people in the board and are each in contact with around six to seven sections all around Europe. Leonie Martin’s agenda is full of skype calls and meetings everywhere. This impressive whole organization works with only one fully paid employee, the Secretary-General, and interns in Brussels. Finally, a young motivated team can deal with 30 000 members. How can we say that young people are not experienced enough when we see the example of JEF and Leonie… And they are not dealing with only young people, they are in direct contact with some Members of European Parliament (MEP) or the Commission. Youth needs to be active in politics because we are the ones dealing the longest with its consequences. And the sooner you begin, the more opportunities you have to have a high position to change the system. The current High Representative of the EU for Foreign Affairs, Federica Mogherini, several MEPs, the Vice-President of the Green movement and many others were JEF members. So get involved in JEF, you will not regret it. yanis lammari on We Are (Not) Ready. We postpone or let’s go? Ben Braso, un ami qui vous veut beaucoup de bien on We Are (Not) Ready. We postpone or let’s go? Marie on We Are (Not) Ready. We postpone or let’s go? Emmanuel Macron on We Are (Not) Ready. We postpone or let’s go?